The information presented on this page was originally released on April 8, 2002. It may not be outdated, but please search our site for more current information. If you plan to quote or reference this information in a publication, please check with the Extension specialist or author before proceeding. Many people consider the Dragon Wing red begonia to be the most beautiful begonia on the market for planters or the landscape, and the Mississippi Plant Selections Committee unanimously concurred by selecting it as a Mississippi Medallion winner for 2002. The Dragon Wing red begonia works great in full sun or partial shade. In full sun, the plant is more compact and the foliage develops a reddish cast. In partial shade, the look is lush, tropical and exotic. The Dragon Wing blooms almost constantly from spring until frost with huge, scarlet panicles hanging down in contrast to dark green, glossy leaves. In the full-sun garden, combine with the Mississippi Medallion award-winning New Gold lantana or large yellow marigolds like Antigua, Marvel or Discovery. Grow as understory plants near large candlestick plants. 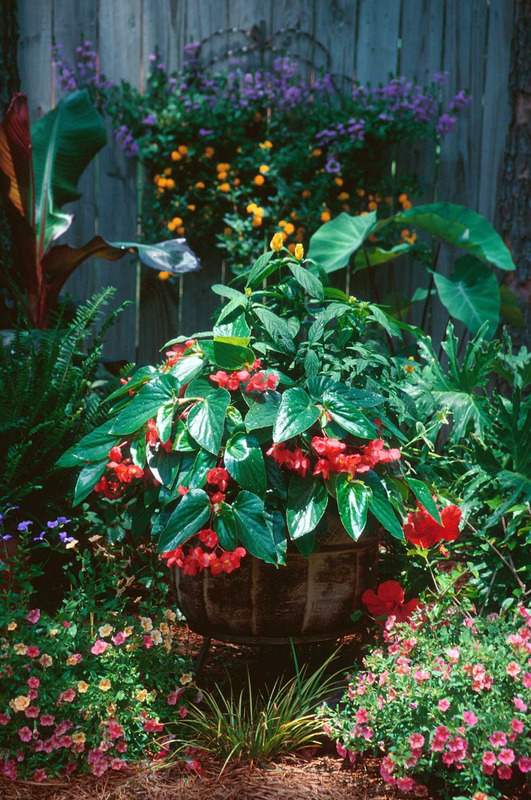 These begonias have the ability to make partially shaded beds look like Jamaica or Martinique when combined with plants like bananas, cannas, elephant ears, fatsia, gingers, hostas and the Mississippi Medallion award-winning yellow shrimp plant. Dragon Wing red begonias are also ideal for hanging baskets on the front porch or in large containers, and they can put on some astonishing growth. A 10-inch basket planted in a large tub or whisky barrel in late April will probably get 36 inches tall and as wide or larger by the end of summer. Depending on the desired look from above, choose a site in sun or partial-sun. Soil should be fertile, organic rich and well drained. Work in 3 to 4 inches of organic matter, turning the soil to a depth of about 8 inches. While tilling, add two pounds of a slow-release, 12-6-6 fertilizer with minor nutrients per 100 square feet of bed space. Space Dragon Wing begonia plants 12 to 18 inches apart in the landscape. Keep them well watered and feed monthly with light applications of the fertilizer. In containers and baskets, used controlled released granules or dilute water soluble 20-20-20. Apply a good layer of mulch to conserve moisture, deter weeds and keep the soil temperatures moderate. Dragon Wing red begonia produces new shoots called canes from the base of the plant. Should any canes get unsightly or leggy, simply break off at the base or prune to allow new-blooming canes to develop. A little maintenance goes long way because the Dragon Wing begonia is an exceptionally long landscape performer -- blooming from spring through fall. In fact, they exhibit some cold hardiness and can take several hits of temperatures in the low 30s with no problem. After mild winters, they may even return. Wax begonias are nice, but once you try the Dragon Wing, you will be hooked forever. Dragon Wing red begonias are for sale now at garden centers across Mississippi. Look for the colorful point-of-sale material. They are available in baskets and in sizes to fit every budget. If red is not your favorite color, then look for the new Dragon Wing pink begonia. 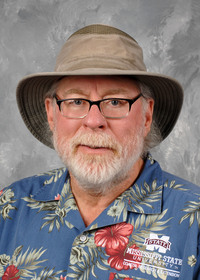 The Mississippi Medallion award program was started in 1996 and is sponsored by the Mississippi State University Extension Service, Mississippi Agricultural and Forestry Experiment Station, Mississippi Nursery and Landscape Association and the Mississippi Plant Selections Committee.